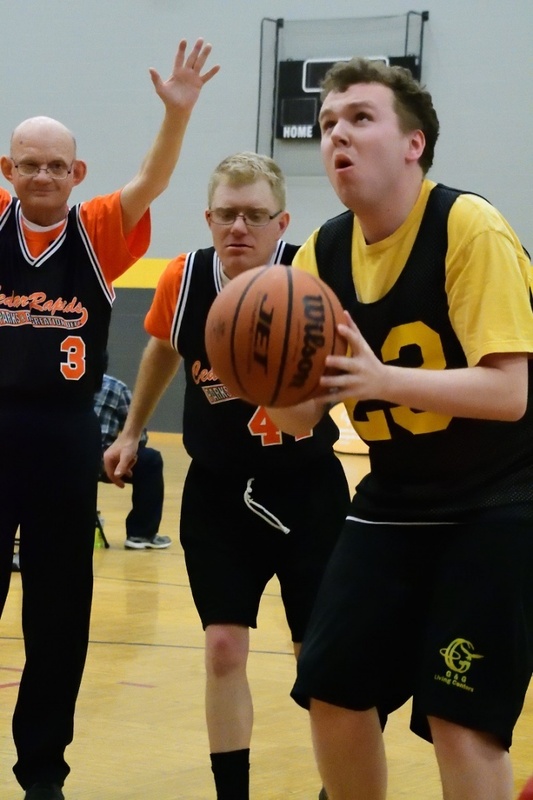 Special Olympics Iowa Conference Basketball competitions are conducted in January and February each year. Basketball teaches players to work together and use their skills to enhance their game. Athletes compete in Conference Tournaments before advancing to the state competition at Mid-Winter Tournament. Conference Basketball includes both 3 on 3 half court and 5 on 5 full court levels of play. Teams may register in Junior or Senior divisions and male, female or co-ed divisions. Unified competition is also provided.